What is a 'stock'? This is one of the word one may hear of regularly but cannot easily comprehend the meaning of it. After unceasingly hearing of words like - Stock,stock exchanges,stock market, I did make a move to learn of these things but large terminologies hindered my advances. That was for a short time as I later went ahead to fuse out the real picture behind these terminologies and it might interest you to learn how basic these things are. In a country that boasts of the second largest stock exchange market in Africa, this is a real money venture for its citizen. It is interesting to note also that the USA's stock exchange is the largest in the world. The stock (or capital stock) of a company is the total equity stock(or shares) of its owners. Corporations raise capital by issuing stocks and entitle the stock owners (shareholders) to partial ownership of the corporation. The shares together form stock. The total shares are stated at the time of business formation. Additional shares may subsequently be authorized by the existing shareholders and issued by the company. Every company has shares which the owners lay claim to. Like, when you go to register a company at the Corporate Affairs Commission (CAC) with a share capital of N1million which means you place a share made up of One million ordinary shares of N1 each. This also mean your initial capital at the start of your company is N1million . This doesn't mean you can't increase the value of your share later on. The whole story simply states that a company is partially owned by shareholders who bought shares of the company thereby possessing a certain percentage in the company. How do shareholders earn money? There are two ways to make money from owning shares of stock. These are through dividends and share value appreciation. Dividends are cash distributions of company profits. The profits made by the company is shared among its shareholders and a big part to reinvest in the business itself. When the company grows and is valuable, its share are high and shareholders can earn more this times by selling part or all of their shares in the company. Regardless of the profit, shareholders typically make money when the company does. This is a facility where stock brokers and traders can buy and sell shares of stock or other financial instruments. Stock exchanges may also serve as facility payment of income and dividends. Stocks need be necessarily be traded in stock exchanges, there are others which are traded off exchange or over-the-counter. According to the wikipedia, In the Roman Republic , which existed for centuries before the Empire was founded, there were the organizations of contractors ( societates publicanorum) who performed temple-building and other services for the government. One of such service was the feeding of geese on the Capitoline Hill. These birds were fed regularly after their honking warned of a Gallic invasion in 390 B.C. Participants in such organizations had shares (or partes). One of the statesman and orator, Cicero made mention of "shares that had a very high price at the time." This suggests that the instruments were tradable, with fluctuating values based on an organization's success. Later in the time of the emperors, as most of their services were taken over by direct agents of the state, these later went into obscurity. Companies make public offers when they see the need to source for money other than or in addition to debt to finance new projects, purchase fixed assets or simply expand the business. It could also be to repay debt or invest in research and technology. When a company engages in a pubic offer they could offer new shares by increasing the share capital (thus creating new shares) to the public or offer those shares to existing shareholders only. Offering those shares to the existing shareholders only is called a Rights Issue. This has to do with the profit a company makes per every unit of shares held. Example, assuming a company with 20m ordinary shares has made a profit after tax of N10million. Its earnings per share will therefore N 0.5 .If its market price was N5, the Price Earnings Ratio (P.E ratio) is therefore N5 divided by 50kobo which is 10x. This means that those who pay N5 to own the shares are basically paying 10x (times) the earnings per share of the company. This Brokerage firm or your stock brokers acts as the intermediaries between you and the stock market. They handle your transactions and get commissions as rewards. Fees paid to stockbrokers are uniform and are approved by the Security and Exchange Commission (SEC) the regulatory authority for activities on the stock market. Fees are also paid to the NSE, SEC and being a transaction, VAT is also paid. Your Brokers will help you open a CSCS (Central Securities Clearing System) account which in turn would make it possible for you to buy stocks although you will still have to buy stocks through your brokering firm anytime you want to buy stocks. You are applying to be an investor the moment you start the process of trade in the Nigerian Stock Exchange. You will therefore need an investor’s account. An investor’s account is an account that is unique and tied to your name as an investor. It is normally opened along with a CSCS account with which your stocks would be moved in. It is opened for you by the stock brokerage firm or broker. All transactions done on your behalf would then be recorded against your name in your investor’s account. After opening an account you can then instruct your brokering firm to buy and sell shares on your behalf from time to time. They also give you statements of your stocks periodically so you know where you stand. Since the value of stock mostly depends on how the company performed in the past, currently performing and will perform in the future, it is important to identify companies that have potentials to do very well before buying shares. In case you want to make a long term investment like Warren Buffet, the current richest person in the world, you might might keep your shares in a company for a long time. These Value investors invest for the long time. In this, metrics like the financials of the company over the past 5 years onward, their competitiveness, etc are the highlight. They get compensated by dividends and long term consistent growth on their share price. 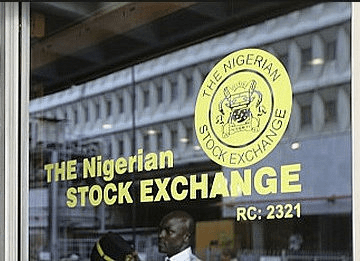 It is important to note that for a company to trade in the Nigerian stock exchange (NSE), it must be a public company and must have more than 50 shareholders (owners). Questions on this topic are welcomed through the comment section. Global Fashion Week and Awards, a global fashion business, trade, exhibition and expo for all fashion, luxury, lifestyle, textile, fabrics and beauty brands. a leading full-service runway showcasing, strategic marketing, media planning and public relations project that is exclusively devoted to the fashion and lifestyle industry in globally. GLOBAL FASHION WEEK, A GLOBAL BRAND OF FACE OF THE WORLD ORGANISATION, Global Fashion Week and Awards was founded and initiated by BUCHI GEORGE, the president of FACE OF THE WORLD ORGANISATION and also UNITED NATIONS FASHION WEEK, COMMONWEALTH FASHION WEEK IN 1999. THE FACE OF THE WORLD ORGANISATION TEAM, GLOBAL FASHION WEEK, GLOBALLY SUPPORTING GLOBAL CHILDREN EDUCATION, WITH THE THEME--CATWALK TO EDUCATE A CHILD.Encouraging global designers to better market themselves and achieve their goals. Consistently working with worldwide media outlets, bloggers, buyers, editors, stylists, photographers, retailers and designers. Global Fashion Week and Awards not only aims to create seamless plans and productions for each designer's show but offers the best integrated runway experience to every guest as well as focusing on each brand's organic growth and sustainable business value. Over the years, it has become a source and a platform to discover and promote cutting edge innovative fashion designers through runway shows and exhibitions. With an excellent team and broad partnerships specialized in strategic marketing, fashion event planning and a customized approach, GFWA can better leverage it's connections and professional knowledge to help each client increase brand awareness, build a loyal clientele and achieve a brands mission. In the competitive world of fashion, Global Fashion Week and Awards is the ultimate authority and choice for each designer and fashion enthusiast. Hello guys! It is really a nice post to know about the general knowledge about the stocks. I think it is not that simple to invest in a stock and earn money. You have to research well about the history and performance of the stock before investing in it. Good luck!